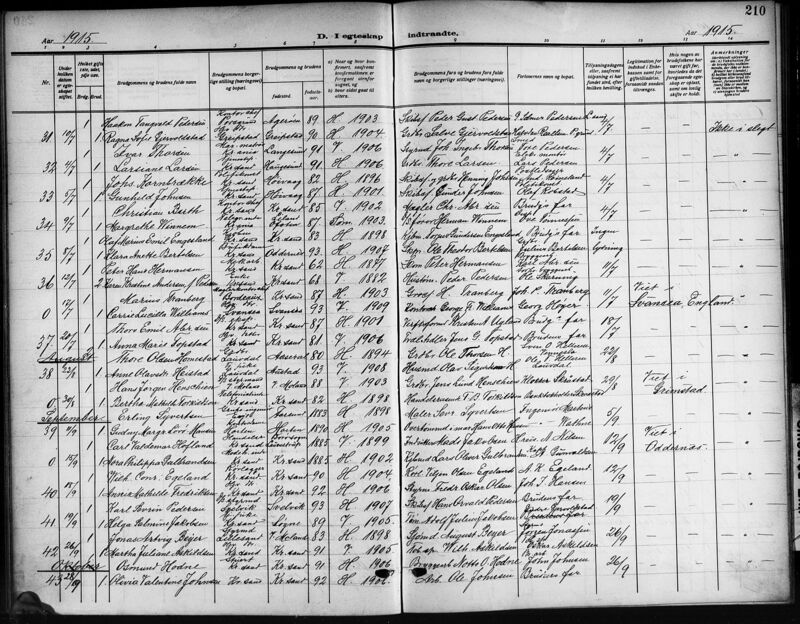 1931 - 1992 (61 år) Submit Photo / Document Has 90 ancestors and 9 descendants in this family tree. He was cremated and his ashes were buried at sea. Kildeinformasjon: Vest-Agder fylke, Kristiansand, Klokkerbok nr. B 21 (1914-1923), Ekteviede 1915, side 210. Fra høyre August Beyer, Jonas Artvig Beyer og gutten William August Beyer. From rigth we have August Beyer, Jonas Artvig Beyer and the little boy is William August Beyer.